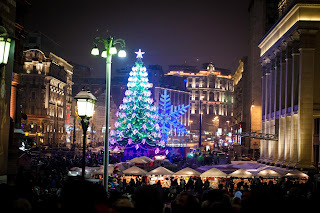 I thought this year instead of a story I would tell you about how people celebrate the season all around the earth. Austria: Saint Nicholas, wearing a shining Bishop’s robe and accompanied by his companion, a little devil named Knecht Rupbnect, gives sweets and apples to good children on December 6. Rupbnect, on the other hand carries a golden rod, which he uses to swat bad children. Brazil: There is an ancient legend that tells us even the animals spoke to each other about the birth of Jesus (in Portuguese, the language of the country). Denmark: The celebration includes “Nisse,” a small mythical creature you really want to please because he can control your future. 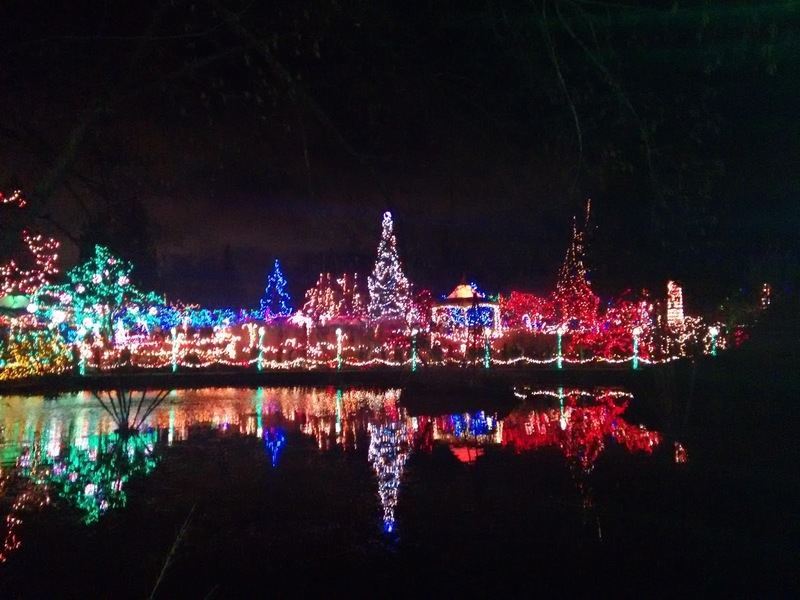 To gain his favor, on Christmas Eve people put out a bowl of porridge. The Nisse is usually depicted as a small old man wearing a gray sweater and trousers, a red cap, red stockings and wooden shoes. He is thought to live for hundreds of years. Finland: Part of the celebration is to pay tribute to the dead. Families light candles at the graves of departed loved ones, giving graveyards a lovely appearance. Guatemala: People sweep their houses before Christmas. Each neighborhood combines the sweepings to make a large pile of dirt. Then people put an effigy of the devil on top and burn it. Greece: In Greece Saint Nicholas is the patron saint of sailors. Ships never leave port without some sort of Saint Nicholas icon aboard. Saint Nicholas is believed to wear clothing soaked in seawater, to have salt water dripping from his beard and to perspire heavily from his efforts at rescuing sinking ships. Homes celebrate the season by having a shallow wood bowl with basil wrapped around a wooden cross. Water is kept in the bowl to keep the basil fresh. Once a day the basil and cross are dipping in holy water so that each room of the house can be sprinkled to keep away the mischievous spirits known as killantzaroi. Holland: The major Celebration takes place on December 5, although Saint Nicholas’s Day is December 6. Children are told that Santa rides a white horse over the rooftops. Good children will get presents but bad children will be stuffed in a bag and taken to Spain for a year so they can learn how to behave. Often parties are held where children are given poems and clues so they can go on a treasure hunt for their presents. Italy: By tradition the holiday is announced by pipers descending from the mountains of Abruzzo and Latium playing music of the season. 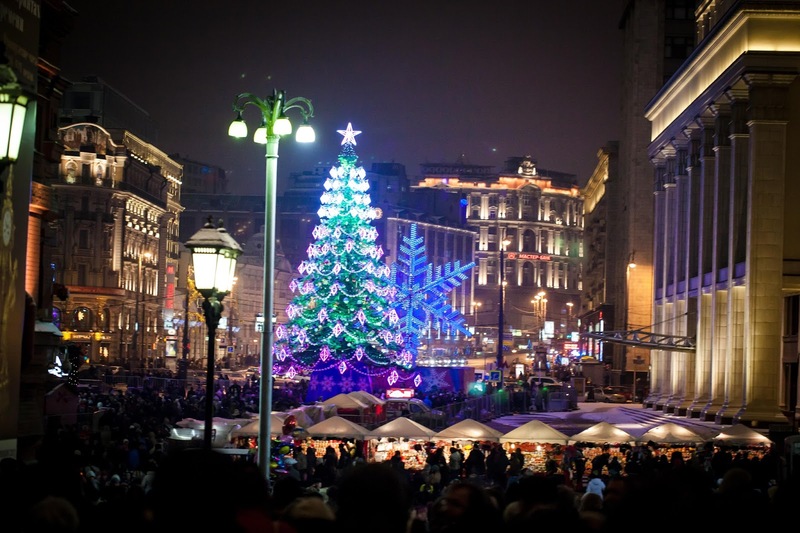 On Christmas Eve children put out there shoes and a woman (a good witch) called La Befana fills them with toys, candy and fruit if the children were good. Bad children find their shoes filled with coal. Norway: People who live here could not follow the tradition in Guatemala. They hide their brooms at Christmas so that witches and evil spirits cannot steal them. So, lets all sing Six White Boomers. No, I don’t know the words. Do you? If you find out what a Boomer is, let me know. Beware of those tricky killantzaroi. 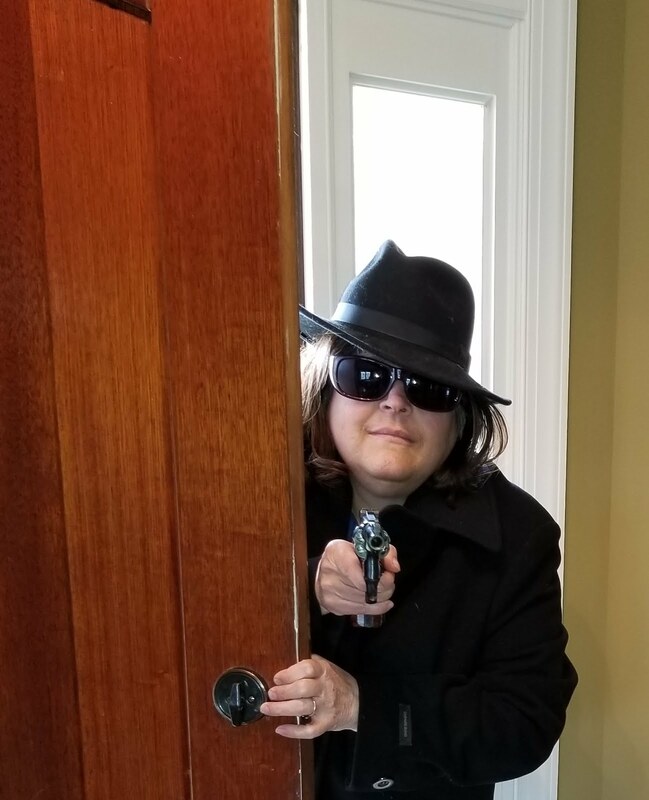 Don’t let Knecht Rupbnect sneak up behind you. Be sure to be kind to the Nisse. I hope you were good this year. I’d hate to think you will get swatted, or that the only gift you will receive will be coal. I definitely don’t want you to be stuffed in a bag and taken to Spain for a year to learn proper manners. Happy Holidays I’m taking the rest of the year off. See you in January. Life, at the speed of….No, even faster. The late, great, Marshall McLuhan wrote, “We look at the present through a rear view mirror.” I’m not sure which of his books that is from, but the photograph illustrating the saying is etched in my mind. At the time, I didn’t understand what it meant. The callowness of youth demanded that the present is merely a jumping off spot for the future. Even as a history major, I didn’t see how the present was caused by looking back. I could well understand that the present was built on the past, but created by our view of the past? Nope, did not compute. This was another popular phrase in those days. McLuhan died in 1980, well before the Internet became a driving force in our lives. He would have loved it. And maybe he does. After all, he has a Twitter account @marshallmcluhan. The events of this month brought McLuhan’s words home. November has been a month of terror. On October 31st, a Russian jet crashed in Egypt. Stories swirled through the media about the cause of the crash, each more dire than the rest. The one certainty? The plane did not fall from the sky for any of the usual tragic, but innocuous, reasons. As events developed, the cause was determined to be a bomb. A simple bomb, just as in the Lockerbie Pan Am crash. At 31,000 feet, it doesn’t take anything high tech or too complex to bring down a plane. ISIS claimed “credit” for the attack. We’d just caught our breaths when on the 13th of November coordinated attacks killed 130 people in Paris. The world became Parisian as word of the carnage spread through the news and Internet sites. ISIS again claimed “credit” for the attack. The beautiful city of Brussels is braced for its own attack from the same source. Schools and public transportation have closed for the duration. Police and military patrol the streets in combat gear. Waiting and watching. Does it matter if the attack ever comes? It seems that in this instance terror has won without firing a shot. attack, this one against a luxury hotel. In this instance, the terrorists stormed the hotel and took 170 guests and staff hostage, killing 19. Al Qaeda took “credit” for this attack and current word has it that there is a deadly rift between Al Qaeda and ISIS that seems to be developing into a “my terror” is better than “your terror” rivalry. The quantity of horrific news cascading through the media made me long for a slower, simpler time. Bad things have always happened. Wars have always been hell, and yes, terror has always been with us. Somehow, though, it seemed different when it was presented to us by one of the three news networks in smaller, more easily digestible, bits. The race to get bigger, flashier, sexier coverage didn’t exist in the days of Walter Cronkite. Well, maybe it did in the newsroom, but it was more genteel when presented to the public. In an attempt to escape the deluge of terror, my husband and I put on an old standby movie, 2000’s The Dish. The storyline follows events in Parkes, Australia during the 1969 moon landing. 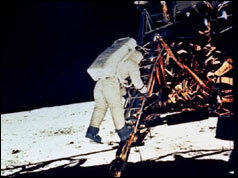 Those magnificent photos of Neil Armstrong walking on the moon came to us courtesy of Parkes, Australia. The movie is billed as a comedy of manners. I don’t understand why. It has some funny parts, but the underlying story is serious. At least it was to the US at the time, and to me, it happened on my birthday. Somewhere around the time of the scramble to connect to the signal from the LEM it hit. The broadcast was live around the world. It was real time, and it was universal. I could only remember one other event that took place in real time. The funeral of John F. Kennedy. The man who set us on a course for the moon before the end of the 1960s decade. Looking at the present through the filter of those two events, I realized that the seeds, maybe not of the Internet, but of some sort of universal communication system were inevitable. The world was hooked. We wanted to see events as they happened, and inconvenient as it may be timewise, we learned it was possible. throwing down the gauntlet of space exploration and knowing how soon his life would be cut short gave me chills. 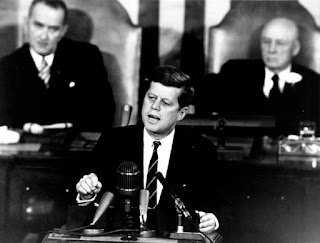 Kennedy’s death was the first act of terror I could remember. An act of terror in a terror-filled decade that saw the deaths of so many from the murder of freedom riders in the South, to two Kennedy brothers, to Martin Luther King. Seeing current events in light of what went before, it’s clear. The unspeakable acts of a few terrorists can cause the world to pause. But somehow, the world finds a way to set it aside and move on. Pushing forward and growing from the pain of the past. What about you? Do you think Marshall McLuhan was right? We are a one-car family now. We will be for some time into the future. Judy bought her Prius in 2003. I bought my Prius in 2012. We have Judy’s here in Kansas City, where we live. Mine is waiting for us in Portland where we are going to live. Being a small hybrid, Judy’s car is named Pikachu after the Pokemon cartoon character that is an electric mouse. While Judy’s vehicle is a classic first generation Prius, mine has some features not available when Judy’s came out. I don’t have a conventional key. I have an electrical doodad that my car senses when I come close. (I usually claim it smells me.) It unlocks the door and allows the car to start. When approaching Judy’s car, it is wise to get the key out of my pocket before I sit down in the car because it is hard to get at while sitting down. Using a key to unlock the door it is helpful to remember, especially in the dark, that the key goes into a horizontal slot. It unlocks with a counter clockwise wrist turn toward the trunk. It locks with a twist toward the hood. 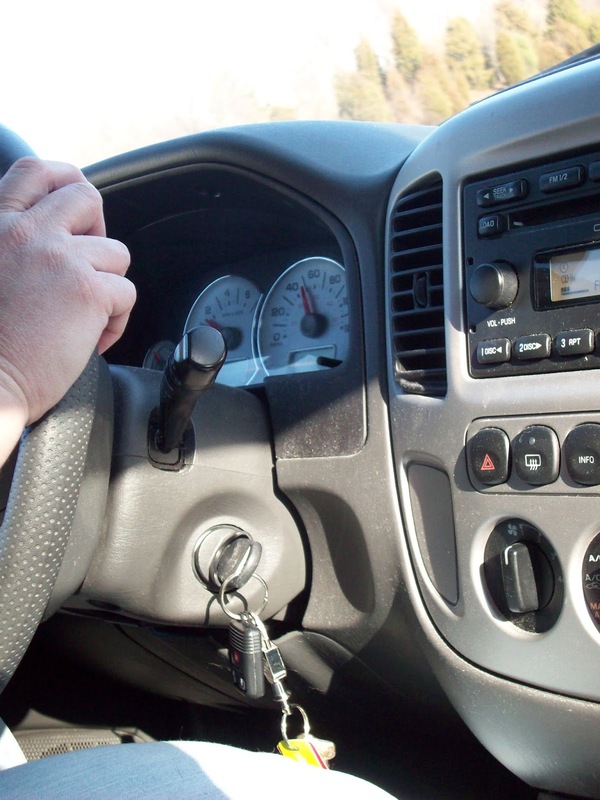 The key goes into the ignition only at one particular angle. I often fail to remember which orientation is required for a specific step. If I leave my keys in my car, it pitches a fit, beeping until I come back to get them. Pikachu does not. My car also sounds off if I leave it running, which is really quite easy to do with a hybrid. Again, Pikachu does not. They both have a light on the dashboard that indicates when they are running. On battery, neither makes much noise. After driving for a while the car’s computer switches the gas engine off. Therefore, my years of paying attention to the sound of the engine are of limited value. I will admit that parking is easier with Judy’s little model. On the other hand, my sense of how much space is needed is based on my larger vehicle. I park too far from the curb. Pikachu is not the car to pick in a drag race. Her pick up and go is laid back and slow. I should know. We have not decided what to do with Pikachu when we move to Portland. We have only one reserved parking place at the new home we will live in. There is already a long list of people already in the building who want to buy another parking space. We could get a parking pass to park Pikachu on the street but we’d still need to keep moving the vehicle every couple of hours. That would be a hassle. Maybe we’ll find a good home for her here, like we did for the seventeen-year-old Accord I owned before 2012. If we do we’ll be sure to leave her in good hands. Pikachu is not the car to pick in a drag race. Her pick up and go is laid back and slow. I should know. We have not decided what to do with Pikachu when we move to Portland. We have only one reserved parking place at the new home we will live in. There is already a long list of people already in the building who want to buy another parking space. We could get a parking pass to park Pikachu on the street but we’d still need to keep moving the vehicle every couple of hours. That would be a hassle. Maybe we’ll find a good home for her here, like we did for the seventeen-year-old Accord I owned before 2012. If we do we’ll be sure to leave her in good hands. The Mayflower sailed to America. It took them 66 days. It was a rough and stormy trip. And there wasn’t enough room to play. 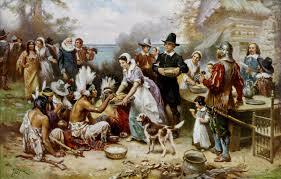 The first Thanksgiving was in October less than a year after the Pilgrims landed in Plymouth. Half of the original 102 passengers died that first winter from cold, hunger and sickness. They were ill prepared for this climate since they’d been heading for Virginia when they went off course and landed in Massachusetts. That first Thanksgiving, they were not only thankful for those who had lived, but a bountiful harvest and many barrels of furs ready to be shipped to England. They were especially thankful for the Native Americans like Samoset, Squanto and Chief Massasoit, who helped them in so many ways. So that first Thanksgiving they invited their Indian friends. When I was teaching a unit on the early Pilgrims who came over on the Mayflower, I read to my third grade class from several books that told the backstory of the Puritans, who left England for Holland for religious freedom, and what that first year was like. 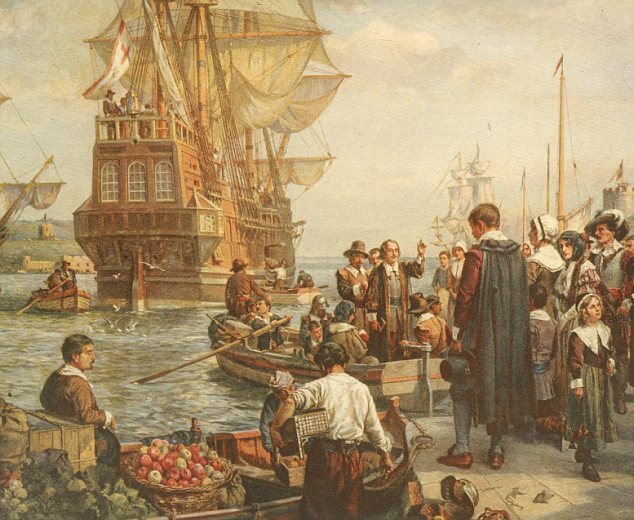 When the Puritans realized their children were losing their English language and customs, they went back to England to hire two ships to take them to the new country. 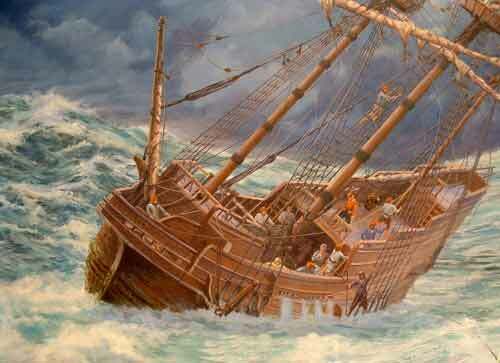 After one ship developed a problem and had to head back to England, 102 Pilgrims headed for the new country. Not all of them were Puritans, either. To make these people come alive for my students, I made journals of fake leather with plain paper inside and sewed up in the middle. On the front was written the name of a young person who came over and lived the whole year. There were twenty-seven who lived through that first year. Each of my students was given the journal of one of those children and had to write in it when I finished reading that day’s story. Some of them would have been too young to write a journal so I didn’t assign those children to a student. Some were a little older like Priscilla Mullins, who married John Alden. The students wrote to Dear Aunt Patience (me) and I responded to their entries, each day with “Thee should obey thy parents, or Tis not seemly to expose thy ankles” when a young girl the first summer went wading. Pretty soon they were picking up on the same vernacular. When I gave out the journals, I picked the most creative and bright students to be the Billington brothers, John Jr. and Francis; students who would embrace these characters who almost burned the ship down by running a fuse to a barrel containing gun powder. The students picked always had fun with their characters making up things they’d done as John or Francis, that wasn’t in any history books. Can you imagine being on this ship:? On the way across the ocean, when the storms came, I had the students sit on their desks as I read and had them sway back and forth as if they were on the ship as I described the smells and how horrible it was with that many people enclosed below, vomiting and using chamber pots that often tipped over, and eating soggy food because water would come in. and soak them and what little food they had. 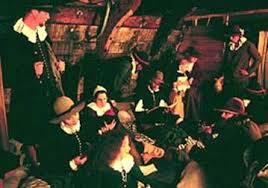 They continued writing about their life when the Mayflower landed in New England rather than Virginia where they were headed. They talked of being cold or hungry, or being sad when one of their parents died which many did. Of course, being kids, the next day they might write about how much fun they were having, too. So much for absorbing the true hardships of those early Pilgrims. One of the books I read. One of the books I used was Meet the Pilgrim Fathers, part of a collection of easy to read history books I’d bought for my own kids when they were young. I showed them the signature of my son John Alden inside which had them interested. My children are direct descendent of John Alden, who came over on the Mayflower and was a cooper, but not a Puritan. 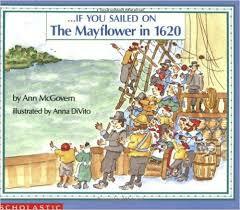 At a parent-teacher conference later, a parent said to me, I understand your son came over on the Mayflower. I still laugh at that. In addition to writing in their Pilgrim journals, I also had them write poetry. I forgot about that until recently when I came across those poems from one of my classes. I’m sharing some of them with you here as well as the one at the beginning of the blog. I did not change their spelling. The Mayflower was a ship The Mayflower was a ship. And they did not see the sun. I think it was named Mel. It took them 66 days The Mayflower sailed over the sea. John Howland got taken overboard by the waves. And the Mayflower saw the seals. The rough voyage was this way. 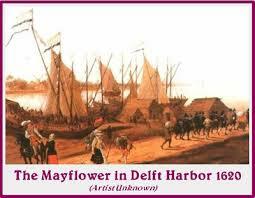 The Mayflower sailed 66 days. It took them 66 days. They all drank ale. The sailors called them puke stockings There were a few babies born. And kids got in the way. And they once fought hail. It took them 66 days I’m surprised it even floats. Why can’t we get on the go? they get on land. Wild and green. This is only some of the thirty-two poems that class wrote. Obviously some of the slower and less imaginative kids copied from others, and some students wrote more than one. I don’t remember, but I have a feeling I might have written those first two lines “The Mayflower sailed to America, It took 66 days” just to get them started. It’s the only reason I can think of that almost all the students started their poems that way. I would have liked to have shared more of their poems, but a blog is limited in space, after all. I know I did this other years, too, but I don’t know where those poems are. Someday, I’m sure I’ll find them, too, says the hoarder. 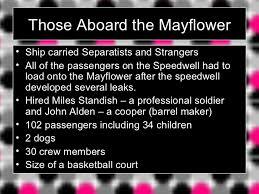 Have a happy Thanksgiving everyone, and be glad wherever you’re going today it isn’t on a ship like the Mayflower. What do you remember learning about Thanksgiving or the Pilgrims as a kid? 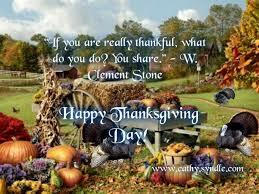 How do you celebrate Thanksgiving. Labels: Teaching history. Those who came on the Mayflower. Ruth’s beloved grandfather instilled in her a love of timepieces. Unfortunately after her grandmother died and he remarried, Ruth and Grandpa Thom became estranged. She’s wanted to reconnect after her recent divorce, but sadly they’ve run out of time. I met J. A. Hennrikus at the SinC table during Malice. We had both volunteered along with a few of our friends to staff the booth for a few hours and answer questions about SinC to conference attendees. We fulfilled our duties, but I have to admit, most of the time we talked and talked and talked…volunteering can be so much fun! 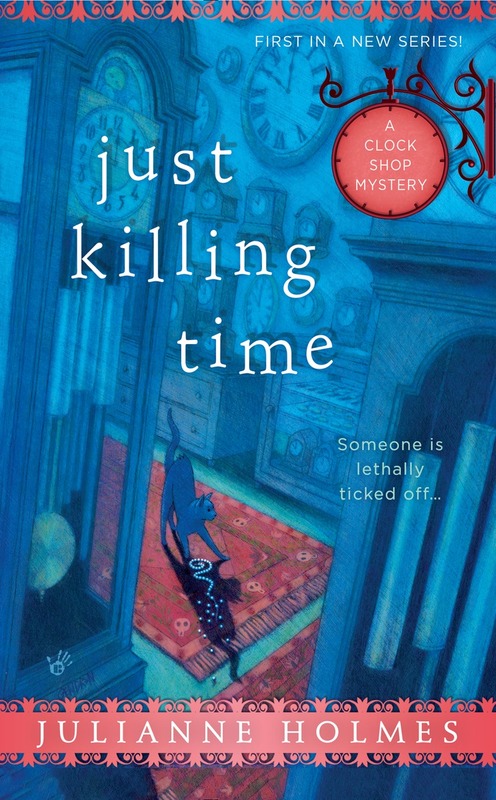 When I found out Julie had written Just Killing Time for Berkley under the name Julianne Holmes, I wanted to interview her and find out more about the series. Experiencing divorce has prompted Ruth to cathartic screaming in her car. She doesn’t bake or cook. Doesn’t do small talk or have warm, fuzzy hobbies. But the clock shop mystery series is still cozy. 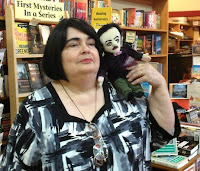 What elements did you include to attract cozy mystery readers? I am a cozy/traditional reader, so I thought a lot about what I like in a series. A strong sense of place. Full characters who have their own stories. A need to bring order back to a community that has been disrupted by a crime. I like to learn something while I am reading, but not enough to pull me out of the book, so I kept that in mind while writing the book. The clock shop isn’t a traditional cozy setting, but the trade requires skill and determination, both of which serve a potential sleuth well. Ruth is a likeable character. She admits to loving technology, coffee, baked goods, and above all else—clockmaking, her profession, handed down from generations of clockmakers. Why did you choose to write about clocks? The idea of this series came from my editor at Berkley, Allison Janice. She decided on the location, and on Ruth’s profession. I wove her wonderful ideas into a story, which she also helped shape. I don’t know if I would have come up with this on my own, though I do like Kate Carlisle’s book binding series, and this has that same vibe to me. Ruth’s family was one of a few that started the town of Orchard, Massachusetts, located outside of Marytown, a larger, more metropolitan town where Orchard residents are often forced to go for box store items and chain store purchases. Is this an accurate assessment? You know, it really is. Orchard is in the Berkshires, out in the Western part of Massachusetts. Every town is different and runs on its own. But in the Berkshires, or down the Cape (that’s how we refer to Cape Cod), or in other towns throughout New England, the small business owner is valued. They may own a franchise in a chain, but they take great pains to make it their own and to fit into the community. Ruth inherits The Cog & Sprocket, a clock store, from her Grandpa Thom, whom she nicknamed G. T. Organization didn’t seem to be one of G. T.’s skills. Missing documents and clocks, a cluttered store, and haphazard bookkeeping occupy Ruth’s time. Is the chaos part of the problem or part of the solution to the mystery? G.T. had his own systems, that’s for sure. He had card files on which he kept records of the clocks he’d worked on over the years. When the novel opens, Ruth goes back to the shop and discovers that the already small shop is packed to the gills, since G.T. had recently bought two estates worth of clocks. That chaos is both part of the problem and part of the solution, since there are important documents that are lost. G.T. would have gotten it all under control, but not with upgraded systems for inventory. After Ruth’s beloved grandmother died, Ruth and G. T. became estranged due to their dislike of each other’s new spouses. Ruth needs to work with Caroline, her step-grandmother, since she worked at Cog & Sprocket and knows the day-to-day operations. I was surprised that Caroline didn’t have more of a negative attitude toward Ruth, especially since she inherited the store. Why didn’t Caroline resent Ruth? Caroline feels guilty that Ruth and her grandfather had become estranged, and partially blames herself, since she married G.T. quickly after Ruth’s grandmother died. She also understands that the shop has to stay in the family, especially since Ruth has followed in her grandfather’s footsteps, and is a clockmaker in her own right. In Just Killing Time, we get to see Ruth and Caroline circling each other, trying to honor the man they both loved. In a lot of ways, the growing friendship between Ruth and Caroline is the heart of the story. Caroline has hardship in her past, which the reader isn’t privy to. Will you reveal her story in coming books? Caroline’s story is the backbone of the next book in the series, Clock and Dagger, which will be out next August. You’ll learn a lot more about what makes her tick and why. The theme of dysfunctional families runs through your book. Every family in Orchard seems to have issues. Is this nothing new or commentary on the current culture? This is such a great question. My grandmother, who was mostly Irish, would describe people with snippets about their lives rather than physical characteristics. “I saw John Smith today. You remember John Smith, don’t you? He’s the man who’s wife left him for a ballroom dance instructor” or “Poor Jane Doe. Her brother started drinking again, his wife kicked him out of the house, so he had to move into her spare bedroom. I know he’s her brother, but why she has to be the one to take him in when their older sister has a five bedroom house and no children I’ll never know, but anyway, not for me to say.” So from childhood I learned about people’s complex lives. Then there’s Agatha Christie. I read the Jane Marple novels first, and she reminded me of my grandmother. She noticed everything and was able to connect threads that other people never noticed. I didn’t dream of being a writer back then, but I did dream of figuring out the mysteries. If I didn’t, I’d go back and reread them to figure out what I’d missed. I also wanted to make Orchard complicated, so there were plenty of suspects and enough intrigue for readers to care about what happened. Maybe there is a lot of dysfunction. Isn’t there always in communities? I think we talk about it more openly now. Ruth’s childhood friend Moira Reed now owns the Sleeping Latte, a breakfast and lunch coffee shop/restaurant. Her father, Pat, works at the Cog & Sprocket. Mother, Nancy, bakes for Moira’s shop and others. During Ruth’s childhood, the Reed home gave her the warmth and security her own lacked. What happened in Ruth’s life to have her crave that family life? Ruth’s parents are academics who were more focused on their own work than on Ruth. She found respite when she visited her grandparents, and loved the vacations she spent in Orchard. But Ruth pined for a normal family, and the Reeds came as close to that as she ever knew. They treated Ruth like a second daughter, and that meant the world to Ruth. Jeff Paisley, Orchard’s Police Chef, seems like an odd duck. Tell our readers about him. Jeff Paisley has his own story that will come out in later books. He used to have a higher-level job with a large police force, but left under difficult circumstances. Grover Winter, who had been the defacto mayor in Orchard for years, hired him and gave him a five-year contract. In the Berkshires the State Police are on duty nights and weekends for many towns. Jeff is the sort of policeman who never wants anyone else to do his job for him, and he also has taken G.T.’s murder personally. He’ll loosen up a bit over the course of the books. 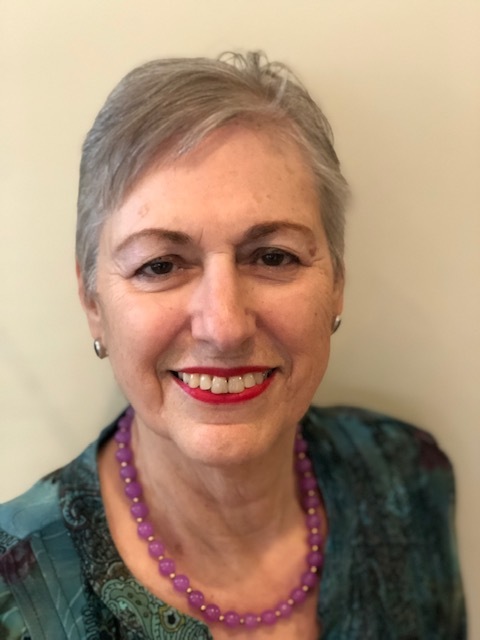 Hiring a town administrator bites the town leaders who have hired her. Her leadership results in splitting town opinion. Why can’t they limit her power? In many small towns, the Board of Selectmen run the town business, there isn’t a mayor. Grover Winter had been in charge for years, and when he retired it was his idea to hire someone as town manager as the needs of Orchard became more complicated. He actually helped hire Kim Gray, but he came to regret it. Unfortunately he died before he could get her fired, and the other members of the Board of Selectmen started being swayed by Kim’s plans for Orchard. The town is split, and part of the work in this series is to get Orchard back on a better track. The Cog & Sprocket has always had a shop cat. Bezel, the current shop cat, keeps Ruth company. Is there a story behind the cat’s name? A bezel is a clock part. It keeps the crystal in place. The Clagan family doesn’t just fix clocks, they love them. Naming pets after clock parts would be natural for them. Bezel owns the shop; she just lets everyone work there. I’ve been owned by cats, and I know how they control their environment. Bezel is a fun character to write. Ruth is split between resuming her old life and assuming a new life in Orchard. What was Ruth’s passion in her old life that still draws her? Ruth had been working on building the life she thought she wanted. It was stable, constructed, and had a clear path. She married a professor, same profession as her parents. She stopped working on her career per se, making it more of an avocation than a vocation. Being a craftsman takes courage, and daring. Being a master clock maker doesn’t mean life will be easy, or lucrative. Ruth is attracted to stability. For her, Orchard doesn’t offer that, at least not at first. 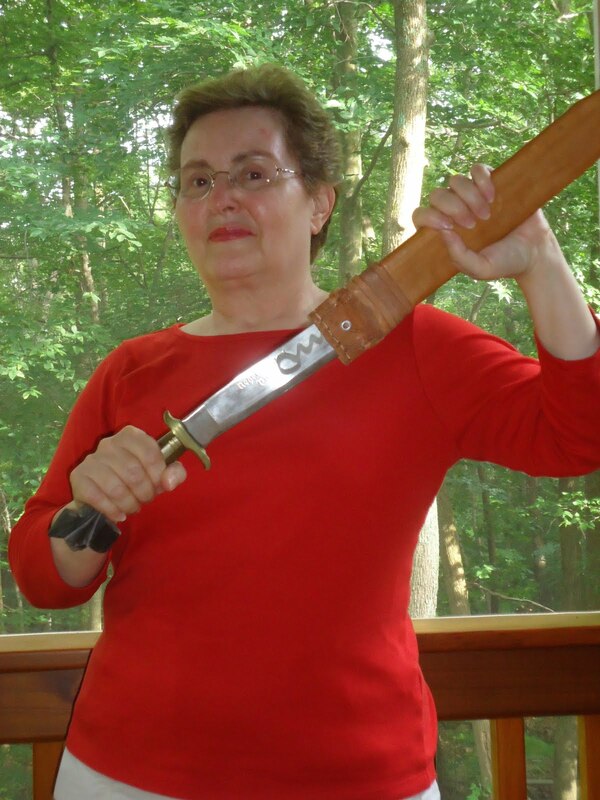 Part of Ruth’s journey is her being braver about taking on life. Ruth observes, “Maybe the best thing to do right now was to act less like myself and more like the person I wanted to be? Yeesh, turning thirty was changing my game.” (Loc 1642) This statement doesn’t resound “To thine own self be true.” Why does Ruth want to change? When we meet Ruth, she’s at a difficult moment in her life. Her marriage has recently ended, her job lost its grant funding, she just turned thirty, and she just found out that her estranged grandfather has died. She has spent the past five years playing the part of a dutiful faculty wife, and now she is trying to figure out who she is on her own. Going back to Orchard lets her get some parts of her past in order, even if she can’t reconcile with her grandfather the way she wanted to. Rather than regret what she can’t change, we see her wrestling with herself to make better choices moving forward. That’s one reason she doesn’t just shut Caroline out of her life—she decides to try and act differently to see what happens. We see Ruth coming into her own in this series. Clock and Dagger is the name of the next book in the series. It takes place right before New Year’s Eve, when a lot is going to change in Orchard. Becket Green is about to open his bookstore, but he is in cahoots with Kim Gray. Ruth continues to fight town government and make her grandfather’s dream of rebuilding the clock tower come true. Unfortunately she stumbles upon a murder in Ben’s barbershop, and that leads to secrets being revealed that threaten the peace she’s been building, so she fights back. Ben is more handsome than ever, the State Police are pushing Jeff Paisley out of the investigation, and Nancy Reed is poking her nose in everyone’s business. Just another day in Orchard, Mass! How did the deal with Berkley happen? Berkley had the idea for the series and was looking for a writer. I blog with the Wicked Cozy Authors, and my name came up as a potential author for the series, so I wrote a proposal and got the job. That’s the short answer. The long answer is that I joined Sisters in Crime over fifteen years ago, then I joined the New England chapter and the Guppies. 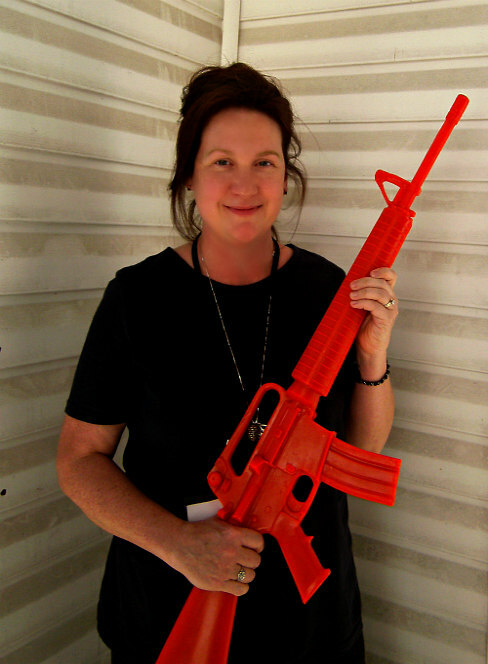 I wrote, took classes, went to conferences (like Malice Domestic and the New England Crime Bake), joined boards, and made wonderful friends. Those relationships are what led to the Berkley deal. I’ve often said that writing is solitary, but getting published requires community. I have a great community and am very blessed. Do you have any advice for unpublished novelists? Holding Just Killing Time in my hand was a dream come true. It took a long time and was a different path than I expected, but it happened. So part of my advice is to keep writing, editing, learning, and believing. Be open to opportunities, even if they aren’t what you expected. But more than that—be happy for your friends when it is their turn. The Guppies are a great example of that on a large scale. The Wicked Cozy Authors are an example of that on a smaller scale—we cheerlead, support, critique, and balance each other on an almost daily basis. This is a tough path, and it isn’t guaranteed to be successful. But it’s a lot more fun with other people. Figuring out when a book is ready is a balancing act—perfect can be the enemy of good, but then again you need to make sure your book is ready to go out into the world. Keep working on becoming a better writer. Stories can be edited, but art can’t be taught. It has to be learned and honed over time. Final piece of advice—celebrate every goal you reach before you set out for the next one. Every step is a victory—most people don’t reach them. So stop, acknowledge the goal you reached, and then set off for the next part of this adventure. In combing through your website, I found we share something—a pin of a pig with wings! I wear mine to every conference I attend. If you tell me what your pin symbolizes, I’ll tell you what mine means. I bought mine at Malice Domestic a couple of years ago. In fact, this past year I bought a back- up just in case I ever lose it. My day job is working in theater, another field where the path is uncertain and the journey is a roller coaster. When I saw the pin, I thought about all of the naysayers who crush dreams by saying it will happen when pigs fly. The pin reminds me that sometimes pigs sprout wings, and do indeed fly. It reminds me to keep believing. Why is J. 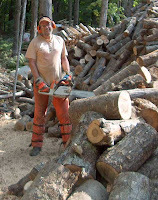 A. Hennrikus blogging for Henery Press? I am one of the contributors to Writes of Passage, which was published by Henery Press. I was delighted to blog for them recently. I’m a big fan of Henery, the people involved, and their brand. Anything else to fess up to? Nothing much—I’m a big fan of social media, and am on Twitter, Instagram, and Facebook. I love being part of the mystery writing community and really appreciate this thoughtful interview.